NEW YORK (Oct 13): U.S. stocks retreated from recent record highs on Thursday as AT&T shares sank after it said it lost subscribers in the last quarter and banks slipped following results from JPMorgan and Citigroup. JPMorgan Chase & Co and Citigroup Inc said they had set aside more money for credit card lending losses in the third quarter, stoking concerns about consumer credit, even as they reported results that topped analyst estimates. JPMorgan shares eased 0.9 percent and Citigroup fell 3.4 percent, making them among the biggest drags on the S&P 500, with the S&P financials index ending down 0.7 percent. Their results kicked off the quarterly reporting period and will be followed by reports on Friday from Bank of America and Wells Fargo. With the S&P 500 up about 14 percent so far in 2017, investors are hoping earnings growth can help justify valuations. Analysts expect S&P 500 earnings grew 4.4 percent in the third quarter, according to Thomson Reuters data. S&P 500 companies posted double-digit profit gains in both the first and second quarters. "People got a little bit spoiled by the very nice advances we saw in the first and second quarter, but keep in mind that earnings started perking up in the third quarter of last year so the year-over-year comparisons might not look as robust," said John Carey, portfolio manager at Pioneer Investment Management in Boston. DirecTV owner AT&T weighed on the S&P 500 the most, tumbling 6.1 percent after the No. 2 U.S. wireless carrier said it lost 90,000 U.S. video subscribers in the third quarter due to intense competition and the impact of recent hurricanes. Related stocks also fell, including Comcast, down 3.9 percent. 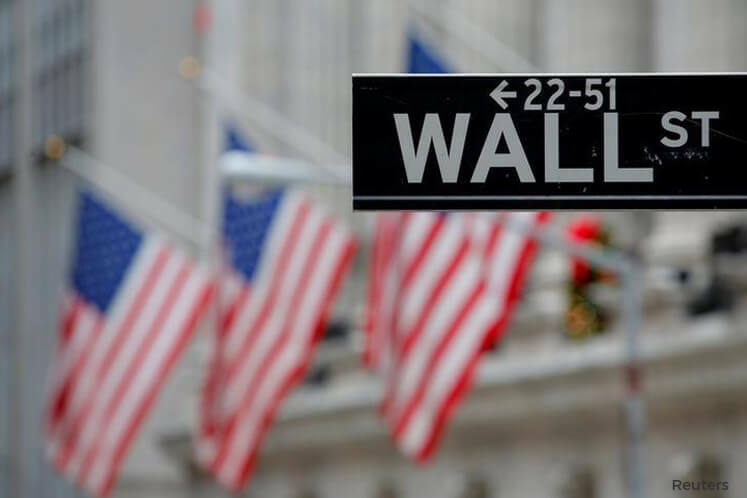 The Dow Jones Industrial Average fell 31.88 points, or 0.14 percent, to end at 22,841.01, the S&P 500 lost 4.31 points, or 0.17 percent, to 2,550.93 and the Nasdaq Composite dropped 12.04 points, or 0.18 percent, to 6,591.51. The major U.S. indexes hit record closing highs on Monday. Among other media-related stocks, Viacom said Charter Communications subscribers may lose access to its channels as the expiration looms for a distribution deal. Charter fell 2.6 percent, while Viacom was down 2.5 percent. Tesla shares ended up 0.3 percent, paring gains late in the session. It said it was conducting a voluntary recall of some 2016 and 2017 Model X vehicles. Advancing issues outnumbered declining ones on the NYSE by a 1.11-to-1 ratio; on Nasdaq, a 1.38-to-1 ratio favored decliners. About 6.0 billion shares changed hands on U.S. exchanges. That compares with the 6.1 billion daily average for the past 20 trading days, according to Thomson Reuters data.